Timeless Ethiopia Touring is a privately-owned business organization of the tourist industry. We offer a wide assortment of organized tours to our extraordinarily interesting country. Upon request, we can organize any tour, for any desired group, a company or individual tourists. We always customize our proposals bearing in mind the needs of our customers. The company was established in the year 2005, but, in spite of that, it is already in the possession of the enormous store of experience in the Ethiopian market. The president of the Corporation had been working in various capacities in the local enterprises of the tourist industry, namely as: manager, tour organizer and a pilot. 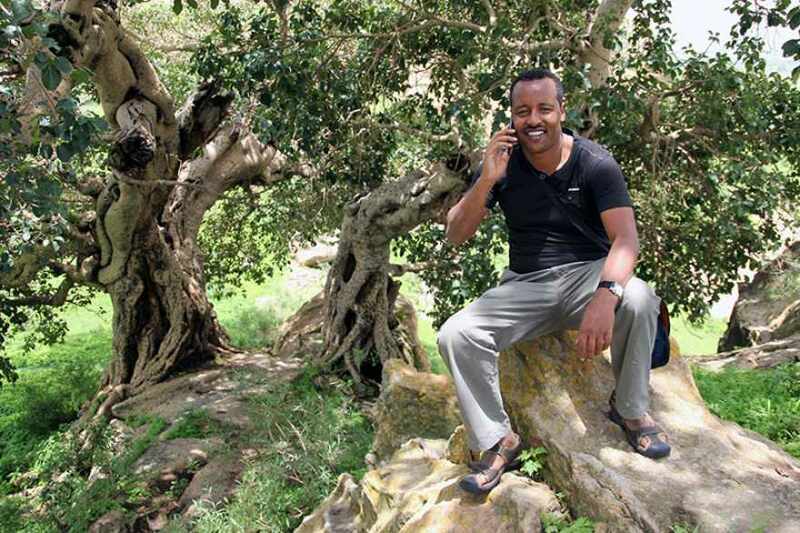 In every corner of Ethiopia, he has friends, serving him with advice and assistance. Timeless Ethiopia Touring ensures the highest quality at the lowest possible price. We are a perfectly organized business organization, having at its disposal educated and experienced personnel. Thanks to that, we are able to ensure unforgettable impressions. At our disposal, there is camping equipment and comfortable four-wheel drive off-road vehicles. It makes it possible for us to visit with our tourists all, even the most inaccessible attractions of Ethiopia. Timeless Ethiopia collaborates with the organization of tours with the best business organizations, active in the Ethiopian tourist market: airline companies, tourist agencies, hotels, car rental companies, and also with the managements of national parks and nature reserves, museums, churches and mosques. We are acquainted with the local culture and follow the local customs. For that very reason, our customers are everywhere sure of a cordial welcome, and they make new friends no matter where they go. Ethiopia is a country boasting the several-century long traditions of Christianity. Timeless Ethiopia Touring always obeys all and any international and local norms. In this manner, we provide maximum safety and comfort. Our business organization has very strong ties with charity organizations, active in Ethiopia. We organize visits in schools, social care centers, camps for refugees and orphanages. Becoming acquainted with Ethiopia with us is an adventure which is extraordinary and safe at the same time; Seeing is believing!